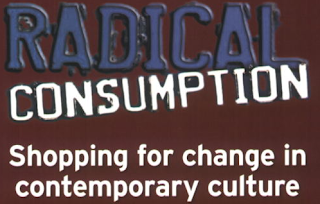 Radical Shopping is the final part to the culture, regulation and consumption series where Dr Jo Littler (author of Radical Consumption) will talk on practices of ethical consumption. As ethical consumption, fair trade, consumer protests, rise of ethical brands, consumer activisim is becoming more familiar- it promotes consumer awareness. But how radical are these methods? Litler adopts a critical approach within the book to review case studies across many disciplines in order to understand the area's many contradictions, strengths and weaknesses.